The final step of the Cycle of Interviewing is Follow-up. While it is probably the easiest stage for most people to execute, it can be extremely difficult to remain patient throughout. Let me help relieve any extra pressure or anxiety you may feel by mentioning that there isn’t a lot that you can do wrong at this step in the process. For some specifics, here is a link to a previous post about what to do after the interview. The biggest warning I can give to job seekers about follow-up is to simply not become a pest. Calling and e-mailing too frequently should be avoided at all costs. In my experience, if and when a company wants you to come back for another interview or make you an offer, they will let you know. While you have every right to check in with them periodically for updates and closure, just don’t become consumed by this. 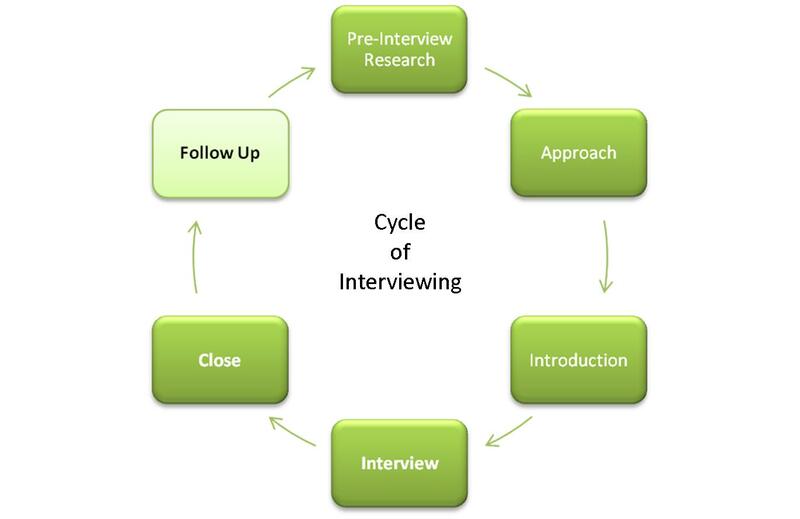 Remember that it is a cycle, and therefore you need to continue your job searching activities, even after the follow-up, as you research other possibilities. Keep moving forward with other companies, and try to meet more people to increase the contacts in your network. Organizations don’t always have the same timeline for hiring as the job seekers they are interviewing. Sometimes there are unexpected delays or uncontrollable changes that occur during the hiring process. Until you have accepted a suitable offer, it would be prudent to continue networking with others to explore different opportunities. I also believe this is a good strategy for your psyche, too, as waiting around for feedback that may not come quickly can be mentally and emotionally draining.